for our clients, Ellis Law is on your side. At Ellis Injury Law, our accident attorneys have the experience you need when you’ve been injured. We treat every client with respect and provide unparalleled personal attention. We understand how stressful an injury can be and how it can change your life. When you need an attorney you can count on, call Andy Ellis and his team of experienced trial lawyers. There is no charge for your consultation, never a fee unless we win your case. If you’re injured or having difficulty, we’ll come to you, whether to your home, the hospital or your office. When you need help, our team of attorneys is on your side. 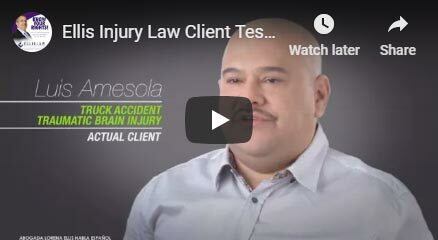 When you need one of the best personal injury lawyers in Los Angeles, Ellis Injury Law can help you collect the maximum compensation possible for your injuries. Andy Ellis has been named as to Super Lawyers, and Ellis Injury Law has been recognized as Best Personal Injury Law Firm, and awarded Best Lawyers by US News and World Reports. Andy is also a member of the prestigious Multi-Million Dollar Advocates Forum. At Ellis Law, our goal is to help each and every client with personalized attention and first-class service. Call us today and find out why so many clients choose Ellis Injury Law when they need help. Ellis Law Corporation is regionally in the The U.S. News - Best Lawyers® "Best Law Firms" - based on a rigorous evaluation process. Multi-Million Dollar Advocates Forum is a group of trial lawyers in the United States, whose members have won million and multi-million dollar cases. The National Trial Lawyers is a professional organization composed of premier trial lawyers from across the country who exemplify superior qualifications as civil plaintiff or criminal defense trial lawyers. We understand how devastating a personal injury can be. Hiring the right law firm in Los Angeles is an important decision. 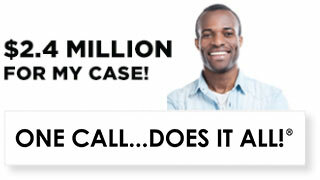 At Ellis Injury Law, our attorneys have recovered over $350 million in settlements for our clients. We have experience handling difficult cases and complex litigation, where multiple parties have liability. We are experienced trial attorneys, who are prepared to invest in your case to find the right experts to testify on your behalf and get you the maximum settlement for your injuries. Insurance companies know this and for this reason, they offer us higher settlement amounts. It is important to hire a personal injury attorney as soon as possible and get medical care for your injuries. A delay in receiving medical care could jeopardize your case and result in lower settlements. We will work to find the right doctors to help you as soon as possible. At Ellis Injury Law, your consultation is always free, and we never charge a fee unless we win your case. Our goal is to help you get your life back on track, and help you get the most compensation possible for your injuries. Whether you were injured in a car accident, hit by a car as a pedestrian, or were riding a bicycle, there are many ways you can be seriously hurt. We have 25 years of experience helping victims of auto accidents recover damages. Whether you were the driver or passenger in a car, whether you were in an Uber or Lyft vehicle, we can help you get compensated for injuries received as a result of an auto accident. Our staff can also help you find medical treatment to document your injuries and receive proper help for your care as soon as possible. Pedestrians can be hit by cars in crosswalks, in parking lots and even while crossing the street and can suffer serious injuries as a result. Many times, pedestrians fail to call a personal injury attorney because they believe they are at fault. It is important to speak to a lawyer as soon as possible. We can get often get footage of the accident and investigate your case quickly, so call us as soon as possible. Truck accidents can be complicated, with multiple liability which require a skilled personal injury attorney. The injuries associated with truck accidents can be devastating and require many experts to prove the driver is at fault. Our attorneys have been winning these types of cases for over 25 years and have the resources to help you get the compensation you deserve. Whether you slipped in on a wet floor, a cracked sidewalk, or on any property, the owner of the property is responsible to keep it safe. If you’ve been injured in a slip and fall accident and the property was not safe or was improperly maintained, you need an attorney who has the experience to help. Our investigation team will go right out to the property and gather the evidence needed to commence a personal injury claim. We have vast experience with slip, trip and fall claims, call us today. If you were injured on a construction site due to defective machinery, unsafe conditions at work, or any number of workplace hazards, our attorneys can help you file a claim for compensation. There may be insurance available in addition to Workers Compensation, and you should call us to find out as soon as possible. Premises liability includes parking lots, malls, negligent security, elevator falls and many other areas other than slip and fall. Call us today if you have questions and suffered an injury. Defective products, like defective tires, exploding appliances, recalls, and many other examples cause serious injuries. You need an experienced personal injury attorney who has the resources to fight for your rights. Big companies will make you spend money to beat them and make you work hard to get compensation. Call us today if you’ve been injured. Knowing what to do after an injury is critical. If you are injured and do not follow these steps, even if your injury is severe and clearly caused by negligence, you may not be able to receive the compensation you deserve. Documenting your injuries is crucial and can prevent insurance companies from questioning the truthfulness of your claim. First, take pictures of the accident. If you have a cell phone handy, take pictures of anything and everything that may be important at the scene. These photos can be used to prove liability in court and can be invaluable when other people try to ‘change the facts.’ Take pictures of your injuries if possible. (Take pictures as your injuries heal over time too). Call the police if there was an automobile involved, or if police are necessary in any injury. Next, get the names of witnesses who saw the accident. Write down what they said about it and get as much detail as possible. Take notes in your phone and be specific. This type of evidence will be very important later. The more you have, the more it helps your case. Record conversations if possible. Write down everything you can remember about the accident. It is important to contact a personal injury attorney as soon as possible. Don’t try to settle with the insurance company, they will never give you what you are truly entitled to, and they are very experienced. Get medical attention right away. Delay of medical care is a huge problem for any personal injury claim. Making sure you document your injuries in this way is the most important thing you can do to preserve your rights when you’ve been injured. Determining liability (fault) is necessary to receive compensation in a personal injury claim. The victim has the burden of proving liability, and the method for proving liability varies depending on the type of claim. In some cases, several parties may be at fault, for example, in a car accident, not only may the driver who caused the accident be at fault, but the driver’s employer may be at fault as well. Proving liability in a slip and fall case is totally different from proving fault in a car accident. It is also important to establish what injuries the parties may be liable for, and whether they are permanent, etc. 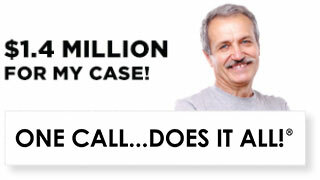 Call us as soon as possible so that we can help make sure you get the compensation you deserve. Wrongful death claims are among the saddest and can leave a family devasted. It’s important to speak to a lawyer as soon as possible, as the details of the case must be established without the victim’s help. Experts are necessary to establish liability, but also to determine the value of lost wages, pain and suffering, and many other issues associated with the death of a loved one. The lawyer you choose must have the resources to pay these expenses, which can be considerable. It is a fact that if a accident victim tries to settle their personal injury claim without a lawyer, they will get far less than if they had an attorney helping them. 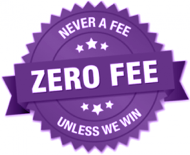 Many of our clients have received offers of settlement from seemingly well-meaning insurance agents for 10-20 times less than what our attorneys are able to settle the claim for. Often, advice is given by an insurance agent to ‘wait’ to see how you feel in a few weeks before seeing a doctor, and by the time you see the doctor, your case has been greatly devalued. Most victims don’t realize what their claim is worth, and it is not the insurance agent’s job to give you this information. Insurance companies make money when they pay you less. You may be entitled not only to past medical bills, but because of your injuries, you can be paid for future medical bills. You may be entitled to past and future medical bills, loss of consortium, and many other expenses and costs associated with your injuries. Having an attorney who is willing to go to trial is a huge benefit for you. 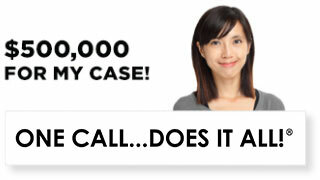 At Ellis Injury Law, we win big verdicts at trial, and insurance companies know this. For this reason, they offer us higher settlements right off the bat. We have recovered over $350 million in settlements for our clients, and they know if we don’t get the offer we want for your injuries, we’ll take them to court and get what you truly deserve. Very often, victims of car accidents have what they believe are minor injuries to the neck and back. These injuries often involve discs and other soft tissues, which slowly progress and become worse. A few months later the victim is suffering from neck and shoulder pain, back and leg pain, tingling in the fingers and toes, and doesn’t realize these problems were a result of the accident. We recommend getting your injuries checked out even if you think they are minor, and document what happened in the accident. Call us if you have questions, we’re here to help. Andy Ellis has won over $350 million in verdicts and settlements for his clients. With over 25 years of experience in handling personal injury claims, Ellis Injury Law has been named to Best Lawyers and Best Law Firm by US News and World Reports. Andy was awarded the prestigious Super Lawyers designation, and is a Top 100 National Trial Lawyers member, also a member of ABOTA, named for the highest achieving trial lawyers in the country. Andy became a personal injury attorney because he felt he could help change people’s lives for the better, and provides the highest level of personal service and attention to his clients. Call the expert attorneys at Ellis Injury Law. There’s no charge for the call, and never a charge unless we win your case.